In August 2018, we were awarded the Delta Dream Grant of $15,000 for our healthy lifestyles portable kitchen program! This grant allows us to enhance our current Healthy Habits program to address the hunger needs of the children in our community. Not only will they receive healthy snacks and meals, the kids will receive education on nutrition and food preparation. Club kids are chefs in the making! 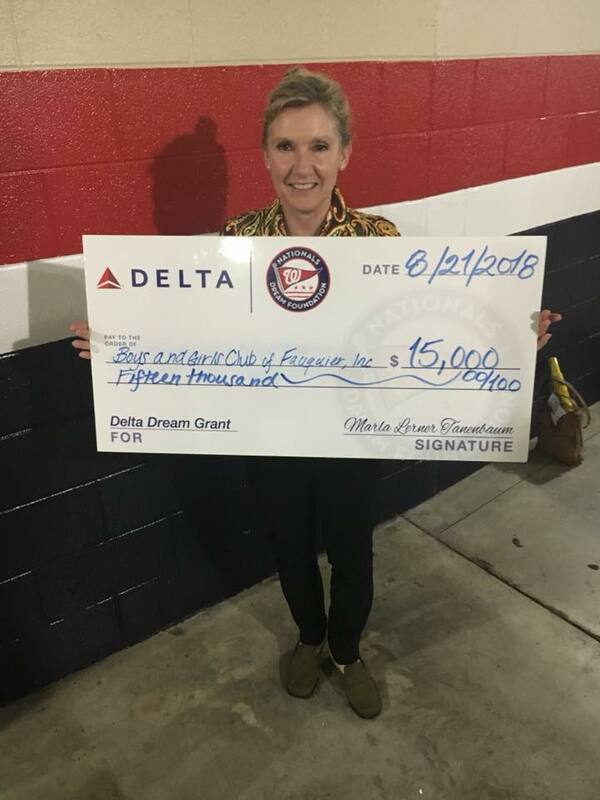 Thank you Delta and the Washington Nationals!